A new paper on volcanic eruption monitoring has recently been published on the open access journal Geosciences. 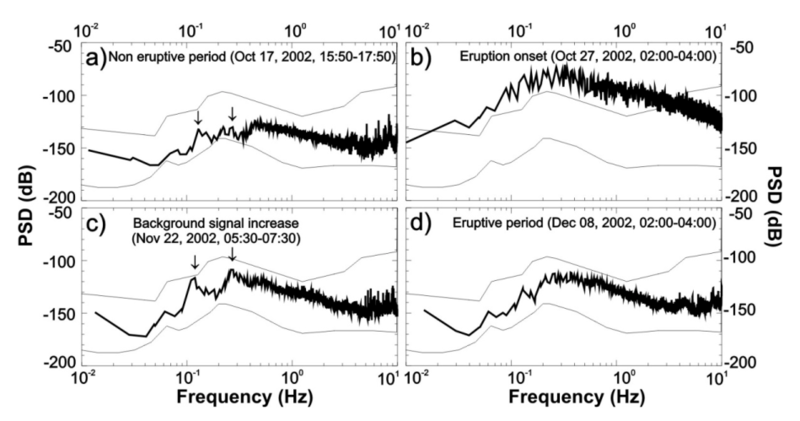 The article, authored by T. Sgroi (INGV), G. Di Grazia (INGV) and P. Favali (INGV, EMSO ERIC), is titled “Volcanic Tremor of Mt. Etna (Italy) Recorded by NEMO-SN1 Seafloor Observatory: A New Perspective on Volcanic Eruptions Monitoring” and is avaible here. In the paper, it is shown the capability of the NEMO-SN1 seafloor observatory (EMSO Western Ionian node) to detect signals generated by Mt. Etna volcanic tremors and discriminate them from the oceanographic noise, thus allowing the offshore monitoring of the mount’s volcanic activity.